Good grief! When did Christmas get to be a week away? 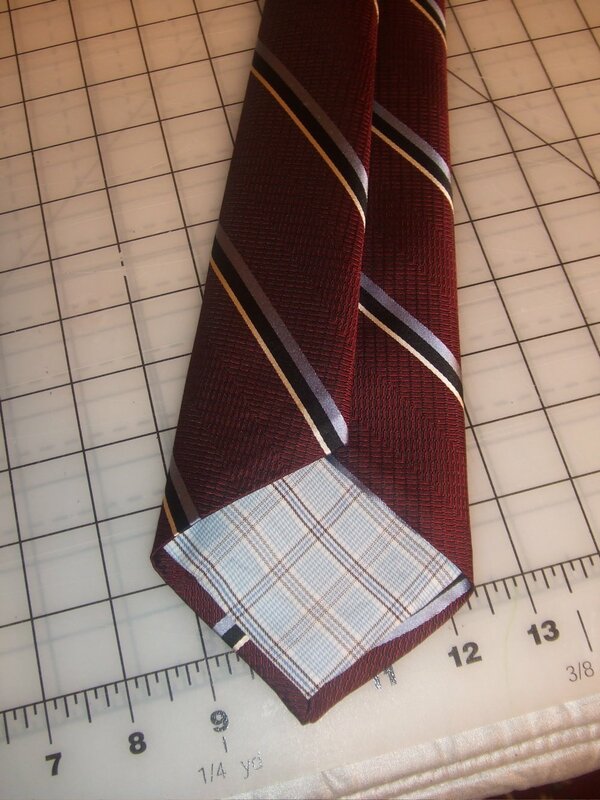 The plan is to do all my sewing machine work on the ties before the weekend. Saturday will be spent folding and hand sewing. 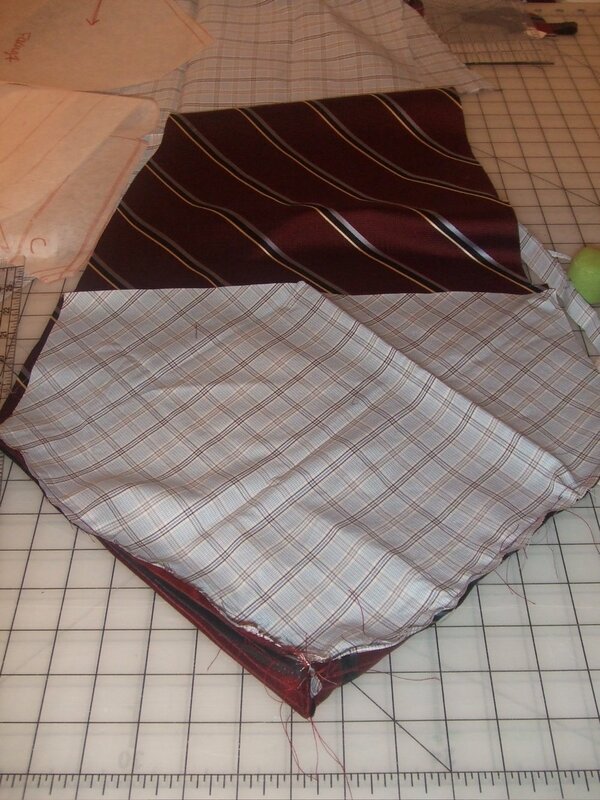 I started this process with my least favorite fabrics. That way, by the time I got to my top fabrics, I would have gotten it all down. Here’s how I solved my tip problem in the tie blade. 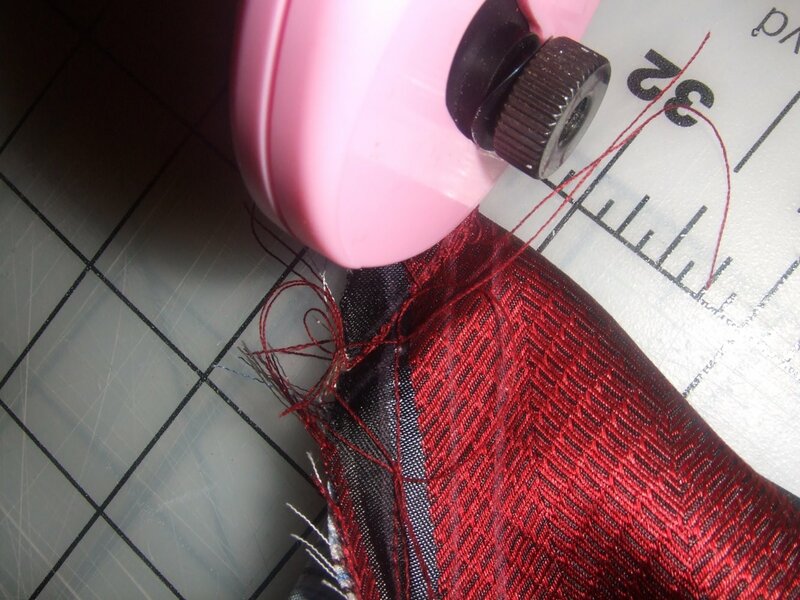 You want to have about a fingers width of distance between the lining and the fashion fabric to create the actual miter. Not right against each other in the fold. Here’s what it will look like after you sew across the tip of the blade. 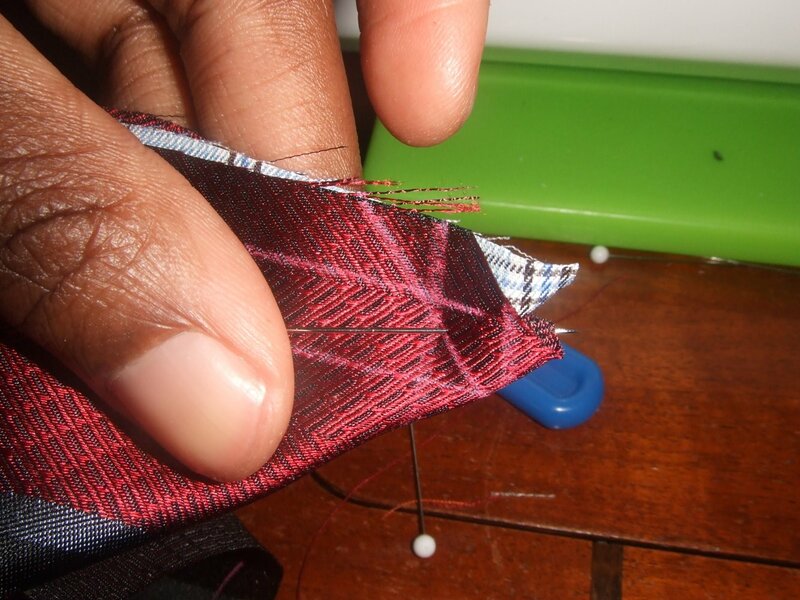 You’ll then blunt the edges just like sewing most corners. 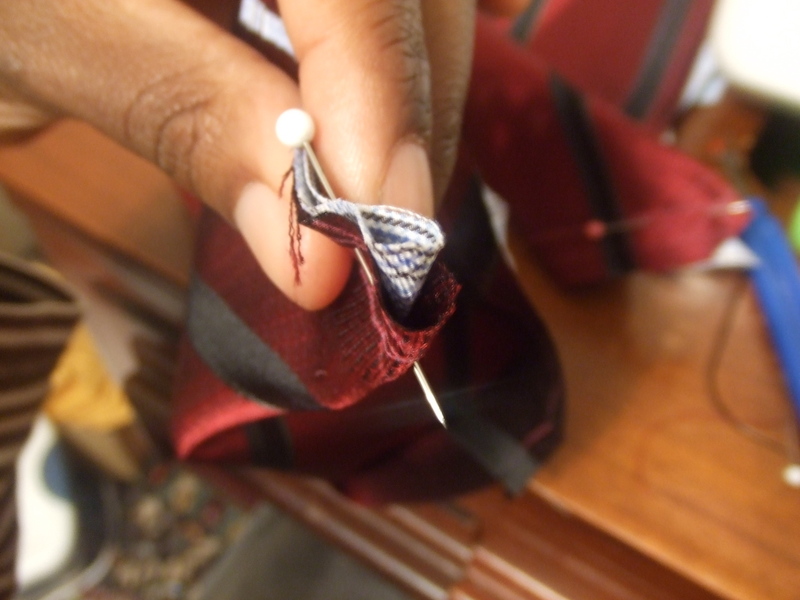 When you sew the sides, you’ll stop right where the stitches across the top are. 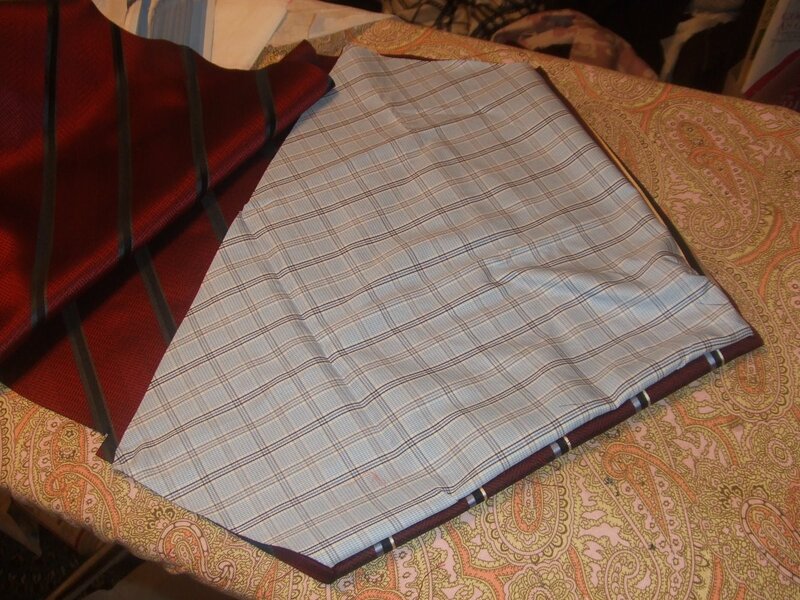 Then, when turned inside out, it will naturally pull the roll of the fashion fabric on to the lining. Below is how it rolled before I even pressed it. Turn it inside out, and you’ll have a perfect point. And, I solved the thickness issue. 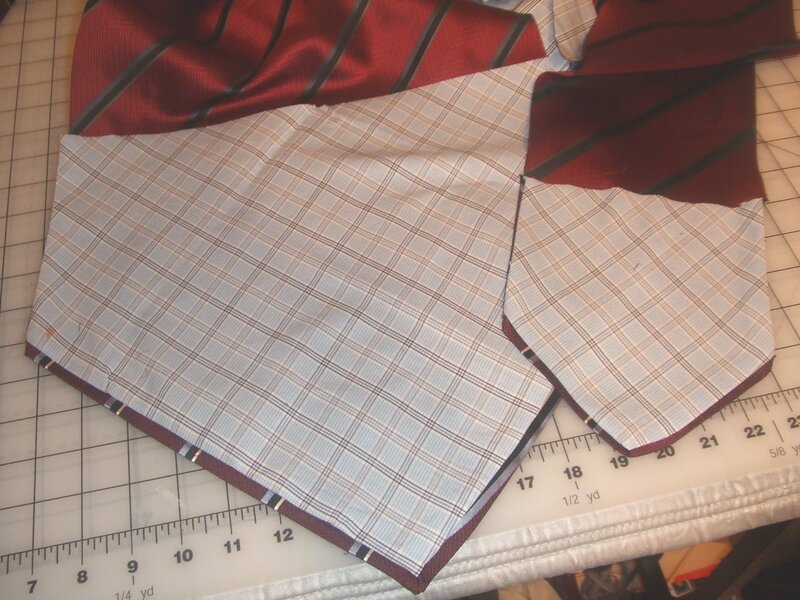 Several of you pointed out that I should use a lighter weight fabric for lining. So, I raided the stash for some fun combos. I’ve got about three of these to this point with two more to go. By Saturday, I should be folding and closing them up at the back with my hand stitches. Thank YOU for posting this! 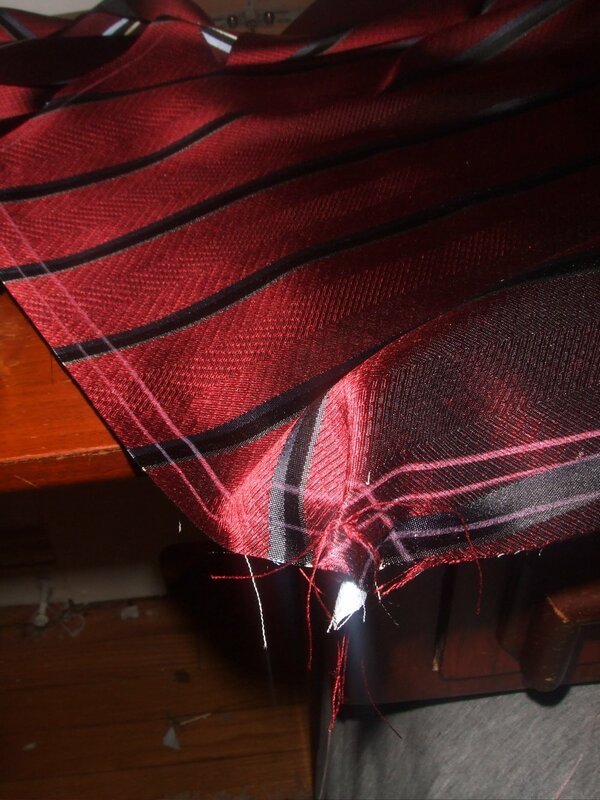 I am going mad trying to make a stupid tie. I found your blog several pages deep in Google. Golden needle in the hay stack! You’re very welcome! There’s not a lot of detailed info out there.